A new University of Arizona-led research team, focused on how the melting of the Antarctic ice sheet will affect climate change, found the warming of the atmosphere will be delayed by about a decade, but sea level rise will accelerate. Ben Bronselear, a postdoctoral research associate in UA Geosciences and first author of “Change in future climate due to Antarctic meltwater,” (a report published in the journal Nature) said that current climate models do not include the effect of melting ice on a global scale. "It’s the first new identified feedback on climate in 20 years," said Joellen Russell, a UA associate professor of geosciences and leader of the SOCCOM group focused on improving the Southern Ocean's representation in the computer models of global climate. 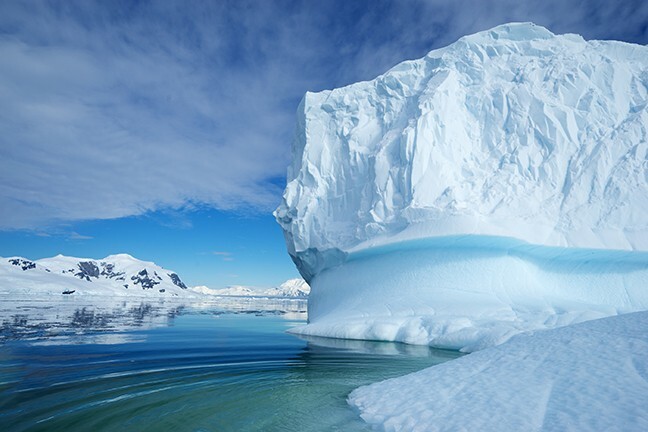 Previously, research suggested that the melting of the Antarctic ice sheet would only affect the sea level, but the not the entire climate system. Using a climate model called ESM2M, scientists simulated tests over the time period of 1950 to 2100. The studies determined the global temperature would increase by 2 degrees Celsius by the year 2065 (and not 2053, as previously estimated). However, they also estimated that by the 2100, the sea level will rise approximately 10 more inches above the previous estimate of 30 inches. Russell determined that the ocean circulation moves heat from the equator to the poles, where the heat is then released into the atmosphere. However, the team’s new research reveals that the additional freshwater from the melting ice sheet acts like a lid on the waters around Antarctica and decelerates the release of heat. The research is part of the National Science Foundation-funded Southern Ocean Carbon and Climate Observations and Modeling (SOCCOM) Project, with The National Oceanic and Atmospheric Administration and NASA also funding. “The melting delays warming—it's still warming but it will warm less steeply and give us another 15-year grace period," Russell said.